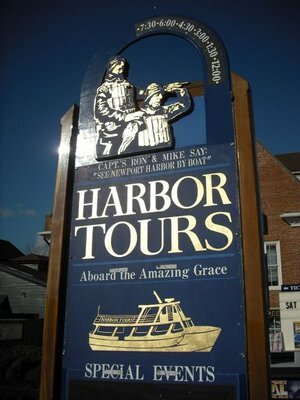 Tour the harbor, buy your dream boat or learn to sail in the "City by the Sea"
You absolutely must sail Newport harbor and Narragansett Bay at least once while you're here. You'll enjoy seeing a multitude of amazing boats and breathtaking sites, including the Newport Bridge, Hammersmith Farm (JFK's summer home) Castle Hill lighthouse and "The House on the Rock". The America's Cup Race is Returning to Newport! And so are the Tall Ships! 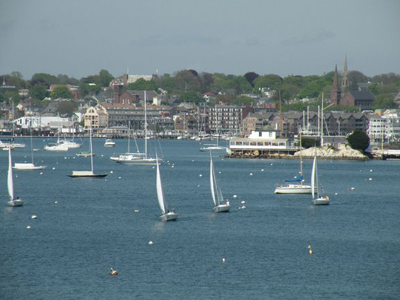 After all, Newport Rhode Island is known as the "Sailing Capital of the World". It was home to the America's Cup for half a century. Question: How can you possibly go home without experiencing this integral part of the "City by the Sea"? Answer: You can't! 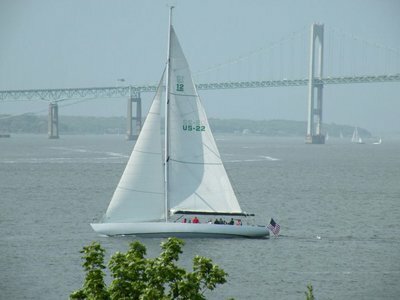 So check out the information below and decide which way is best for you to enjoy the Newport sailing experience. 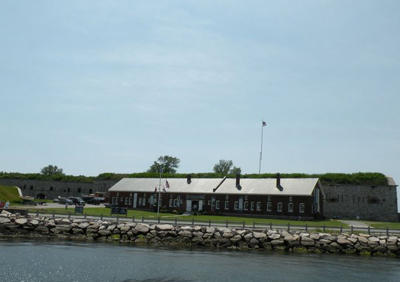 Along with attractions like the Newport mansions, the Cliff Walk and the Ocean Drive, taking a tour of Newport Harbor and Narragansett Bay is another must while you're here. 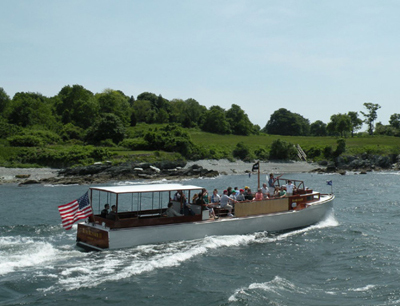 This boat will take you on an enjoyable journey around historic Newport Harbor and Narragansett Bay. 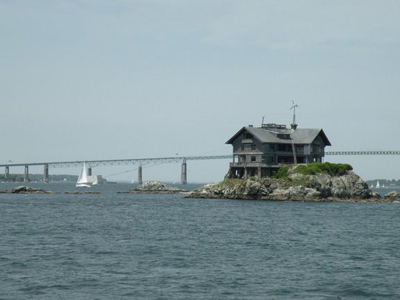 You'll be up close and personal with the Newport Bridge, America's Cup yachts, Fort Adams, lighthouses and amazing oceanfront homes. The Amazing Grace offers indoor and outdoor seating and a full service bar. The cruise lasts an hour, and you can even schedule a private charter if you wish. Cruises depart every hour and a half starting at noon from mid June to Labor Day. During the Spring and Fall seasons they offer weekday cruises at 1:30, and on weekends at noon, 1:30 and 3:00. The Newport Cruise Company operates the Bay Queen, the Harbor Queen and the Majestic. 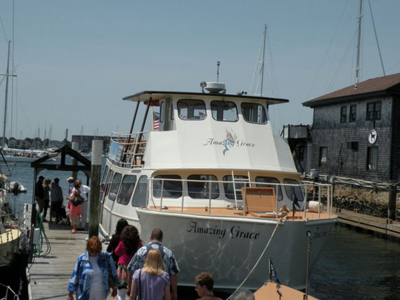 One of these 3 vessels is sure to meet your needs, whether you want to tour the harbor, have a private romantic dinner cruise or hold a corporate event or wedding aboard. The Majestic is one of Newport's finest luxury charter yachts. The tour lasts an hour, and you can enjoy the full service beverage and snack bar, and 3 outdoor and 2 indoor (climate controlled) decks. You can also take lunch or dinner cruises on the Majestic. 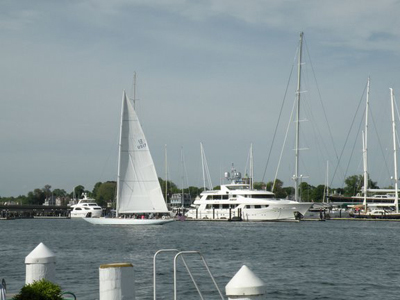 Why not sail Newport in style as you enjoy a beautiful sunset and a night of fine dining? You might want to book a reservation in advance, because many dates are already sold out. The Arabella offers 5 day trips to Nantucket and Martha's Vineyard during the Spring, Summer and Fall, and to the Caribbean in the winter. Contact the Arabella at 800-395-1343 to inquire about rates and schedules. The Rum Runner II was originally built in 1929 for 2 New Jersey mobsters. A ride on this speed boat will allow you to experience what it must have been like to evade the Coast Guard during Prohibition. Tours last about 75 minutes, and the tickets range from $18-25 per person depending on the cruise. The Madeleine, with a capacity of 49 passengers, is the perfect vessel for sailboat tours and private events. Its cruises last about 90 minutes and the tickets range from $27-35 per person for daytime and sunset cruises. Another great way to sail Newport Harbor and Narragansett Bay. 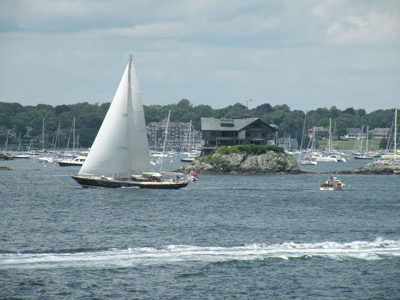 If you're into sailing or yachting, Newport Rhode Island is one of the best locations in the world to spend some time. You can learn to sail at Sail Newport, learn about yachting's history at the Museum of Yachting, or be trained in the art of yacht restoration at the International Yacht Restoration School. You're never too young or too old to learn how to sail! 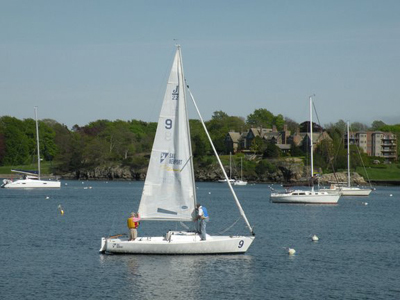 Newport's public sailing center, Sail Newport, is the place to learn whether you're 6 or 60. 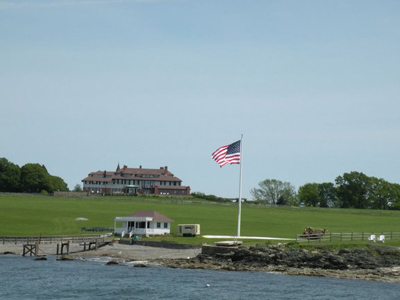 Sail Newport is located on the grounds of Fort Adams, which is also home to the Museum of Yachting and Eisenhower House. After you're done with your sailing lesson for the day, stop by the Fort for a tour or the museum to brush up on your yachting history. 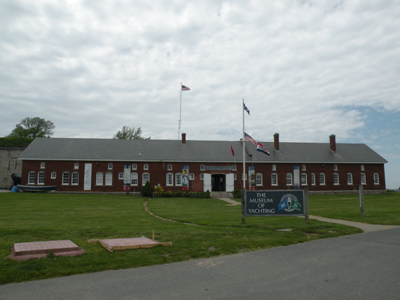 The Museum of Yachting is located at the northeastern end of Fort Adams. It is a wonderful museum containing vessels, artifacts and literature on the rich history of yachting. 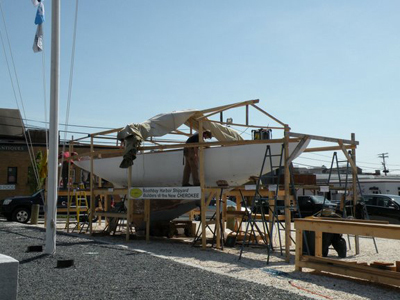 The museum teamed up with the International Yacht Restoration School in 2007, allowing the two to coordinate exhibits, events and restoration projects. This summer is a great time to visit the museum, where you can see fascinating exhibits such as "The America’s Cup – The Newport Years". IYRS is a non-profit institution that teaches the history and science of building, restoring and maintaining yachts. 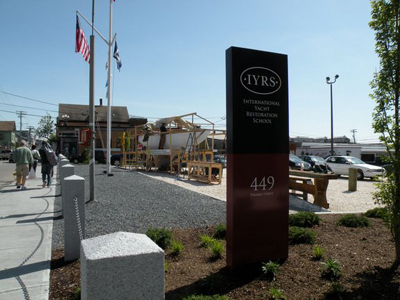 Located on lower Thames Street in the heart of downtown Newport, IYRS is the ideal location to spend a couple of years studying or a couple of hours visiting. You can tour this school and enjoy its exhibits, and you can even enroll in a week long class where you can build your own boat. Even if you don't want to go inside, just walk by after enjoying a meal at one of our great Newport restaurants. If you're lucky, you might be able to see a restoration in progress. 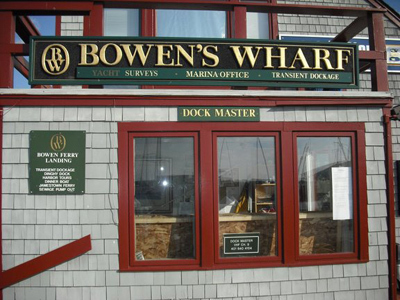 If you're going to sail Newport Harbor, then you'll need somewhere to dock your boat. See the map at the bottom of the page for the locations of Newport's marinas and public boat ramps. 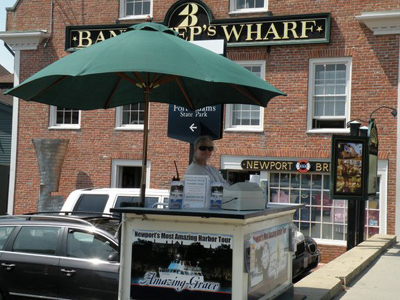 Newport hosts many amazing events throughout the year. 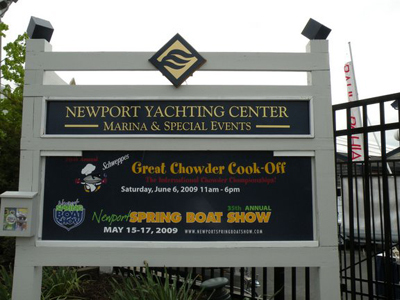 If you're into boating, then the Newport Yachting Center is the place to be during the spring, summer and fall seasons. 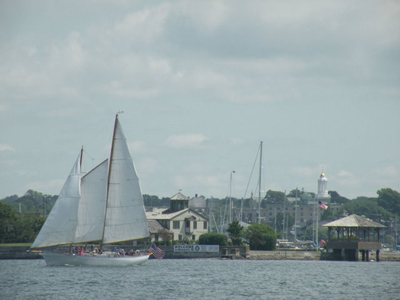 The amount of interesting sites to see while you're sailing around Newport is endless. 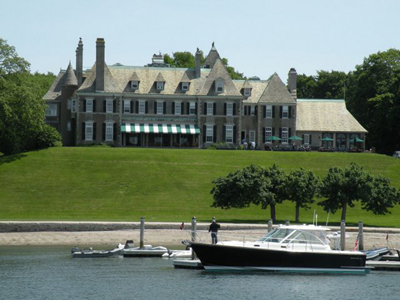 You'll encounter many America's Cup yachts, Newport mansions and even JFK's former summer home. Check out the map below to preview some of the sites you'll encounter as you sail Newport Harbor and Narragansett Bay.